This course helps pharmaceutical scientists get well versed in the details of PK-PD. Two important terms in drug development are “pharmacokinetics” (PK) and “pharmacodynamics” (PD). Pharmacokinetics (PK) describes what a body does to a drug. How does it break the drug down? Is the drug broken down too fast or too slow? Is the drug available where needed? Is the drug eliminated too soon? Does it stay around too long? Pharmacodynamics (PD) describes what the drug does to the body. Does the drug work as intended? Are there any unwanted side effects? Is there any toxic impact? It is important to address these questions when developing a new drug. You will learn the foundations of PK-PD through basic mathematical equations. Practical examples from actual experimental data will illustrate concepts. Upon completion, you will develop a broad PK-PD vocabulary. You will improve your communication with PK-PD scientists and foster efficient teamwork. This course is an elective in the Applied Drug Development Certificate. Take the course as is or to fulfill the elective requirement. Scientists interested in improving their PK-PD understanding should take this course. Refund Policy: All requests for refunds, less a $75 administrative fee, will be honored if received prior to May 7, 2019. No refunds will be provided after that date. 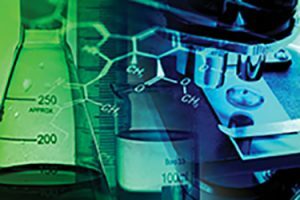 Identify ways in which formulation design can affect biopharmaceutical parameters. Scientists who wish to learn more about how drugs are metabolized in the body, the effects drugs have on the body and how these factors relate to the drug development process.